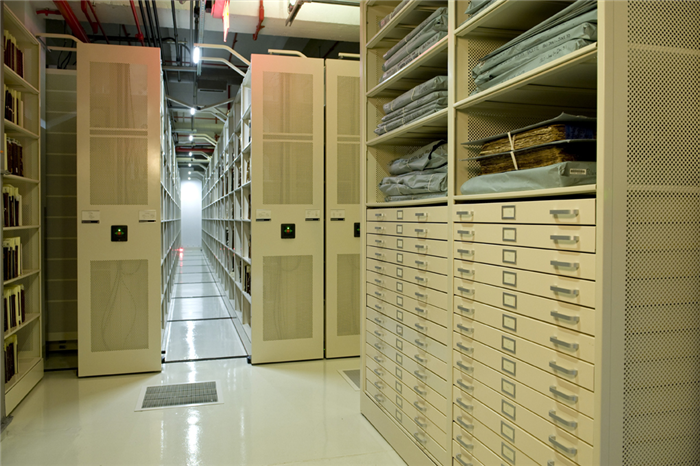 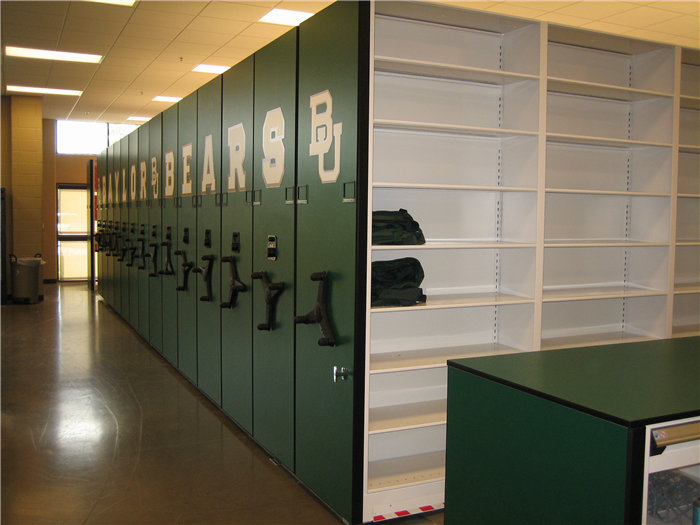 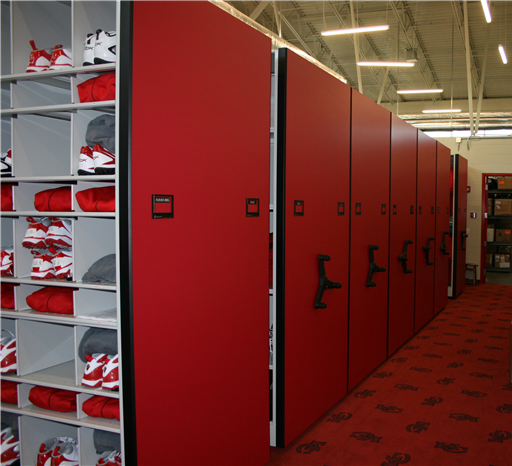 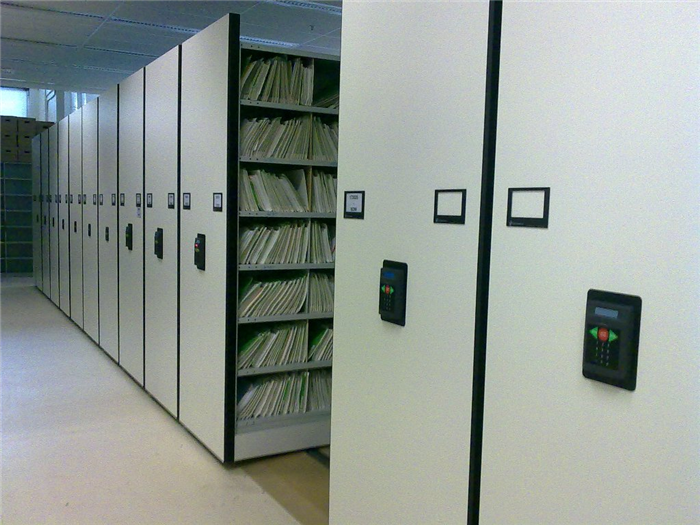 Spacesaver® Mobile Shelving, also called MobilStor Rolling High Density Storage, will revolutionize your storage space. 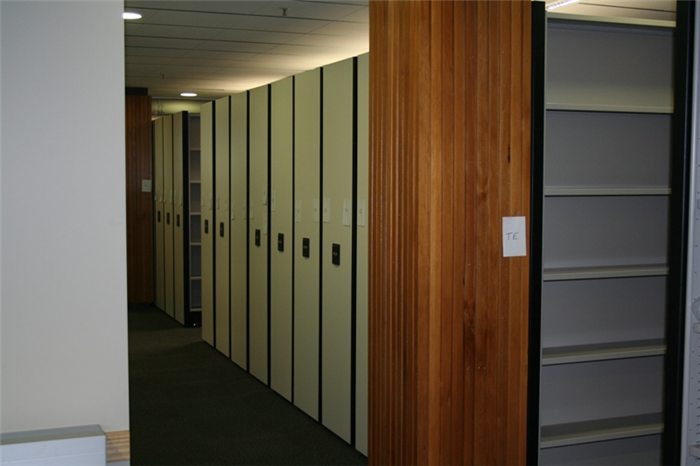 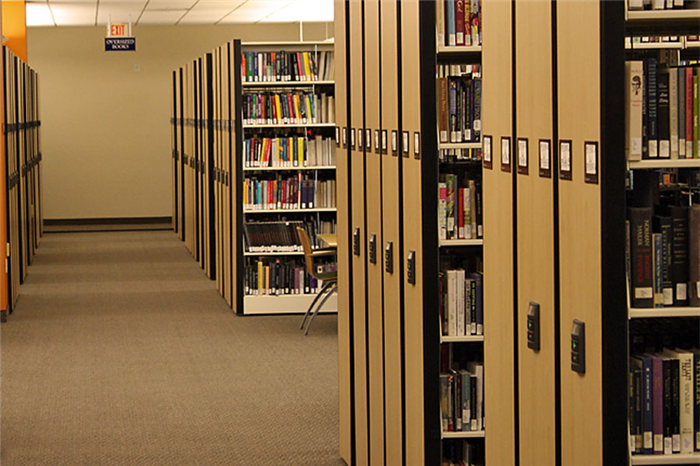 Mobile Shelving gets rid of stationary aisles between shelves by condensing the shelves together and creating a movable access aisle. 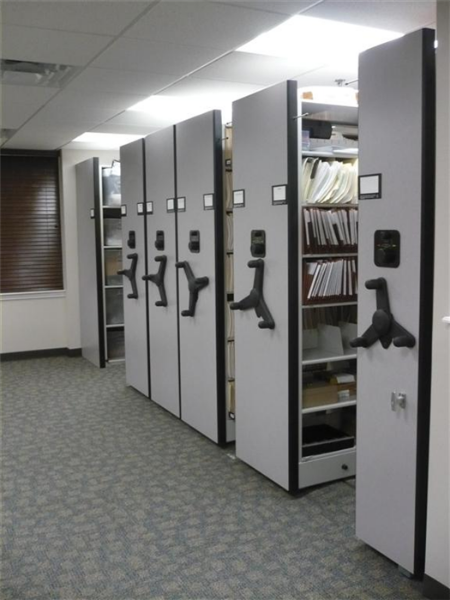 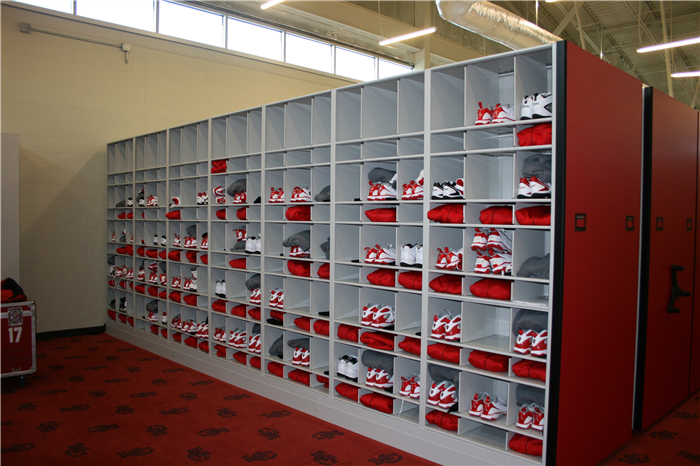 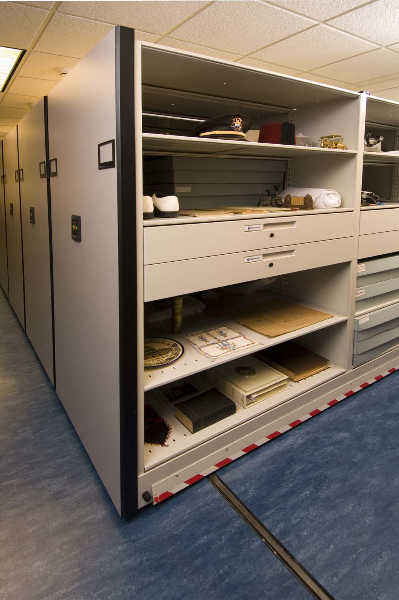 Converting stationary storage shelving to Spacesaver Mobile Shelving will easily double your storage capacity in the same floor space area, or reduce your storage floor space area by half. 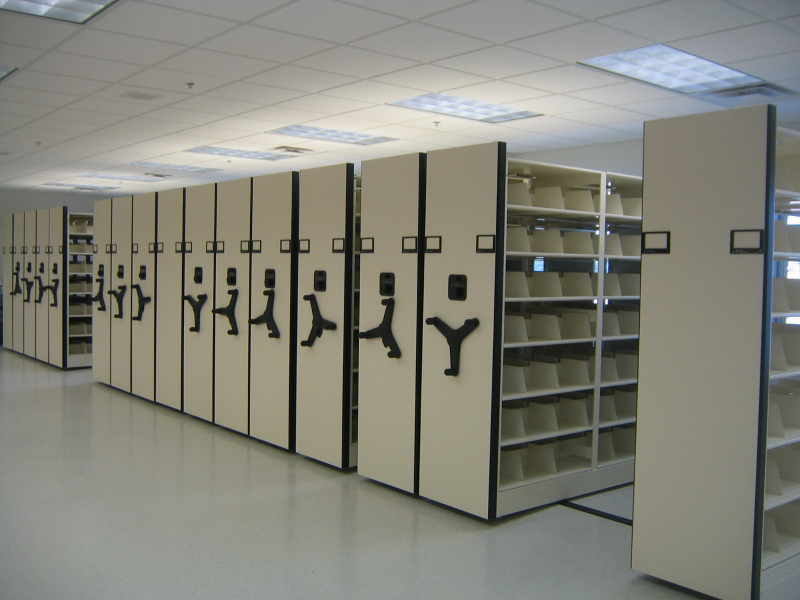 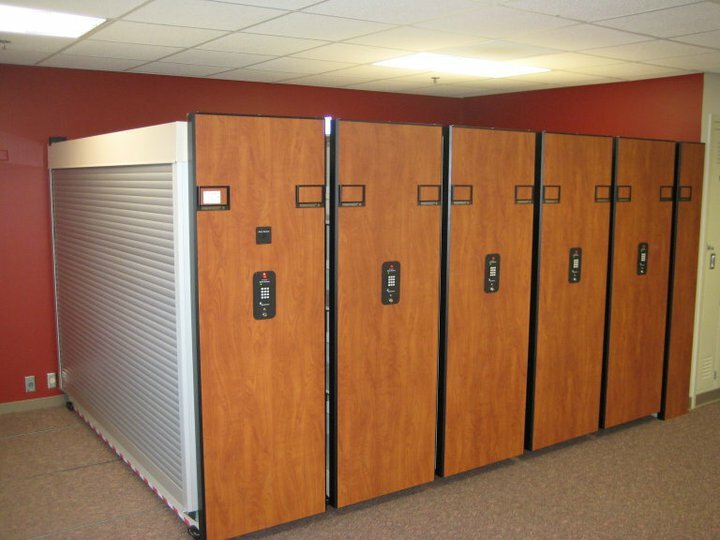 There are two types of MobilStor Rolling High Density Storage: mechanical assist and powered. 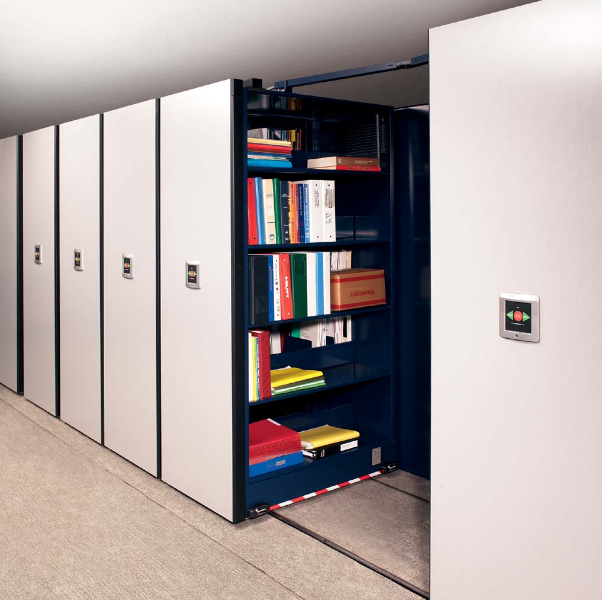 A mechanical assist high density storage system is controlled by the operator rotating a spoke-like handle while the powered system is controlled by simply pushing a button and letting the system do all of the work. Each Rolling High Density Storage system has its own features and benefits, so it is up to you to decide what will work best for your business.